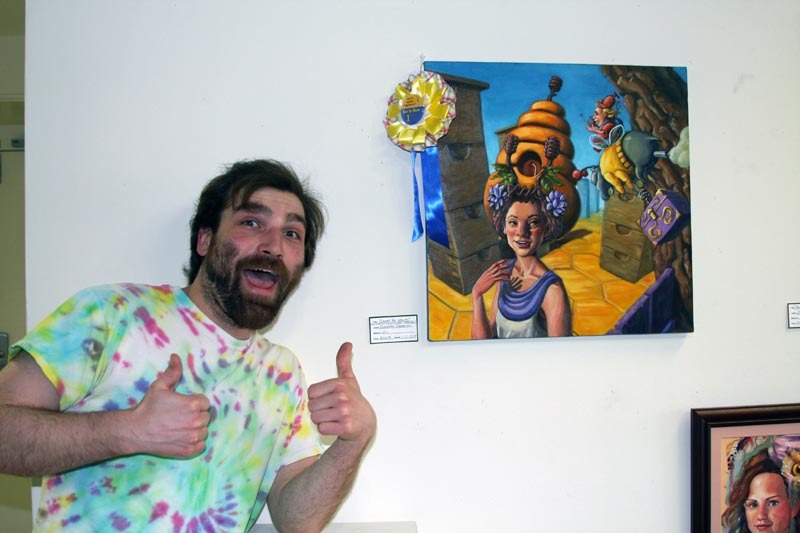 A great time was had by all last night at the LAA Spring Open Show in Gallery 194, Downtown Lapeer. 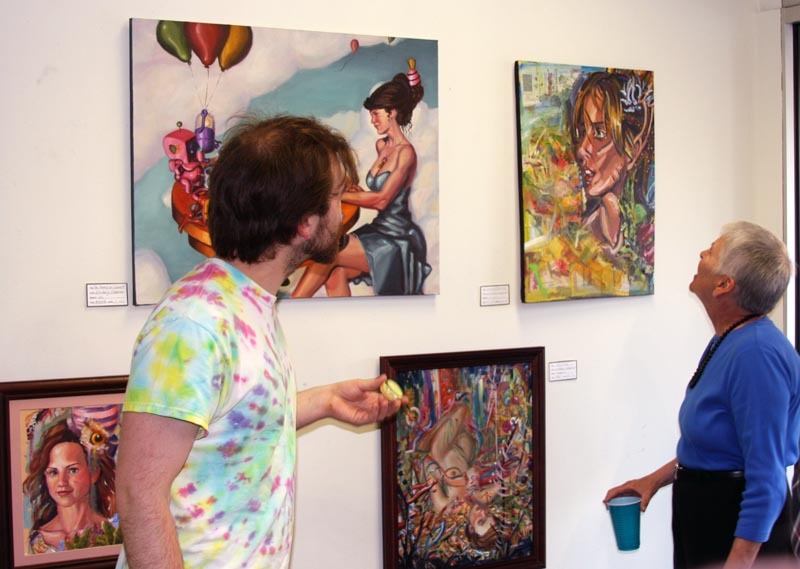 Awards were awarded, munchies were munched, art appreciation and the artful life was discussed and shared by friendly artists and patrons alike. The show features non-member guest artists alongside the association members. The LAA extend their thanks to the two independent judges, Nancy Barry and Nick Lange, for the kind donation of their time and expertise in judging the show. A Best in show award of Ribbon and one hundred dollars was awarded to guest artist Zachary Chapman for his entry “Sweet as Honey”. Eight Juror Ribbon awards for works deserving acknowledgement for excellence were also presented. One of the visitors was a bit of a wolf with the ladies! One of my favourite pictures of the night! We had a blue wolf visit the reception. A very well behaved wolf I might add, he didn’t snaffle all the hors d’oeuvres and he put a smile on every one’s face. Here he is with our very own Renee Badertscher sharing hugs and fun. More pictures of the Reception and fabulous artists with their artwork to follow. 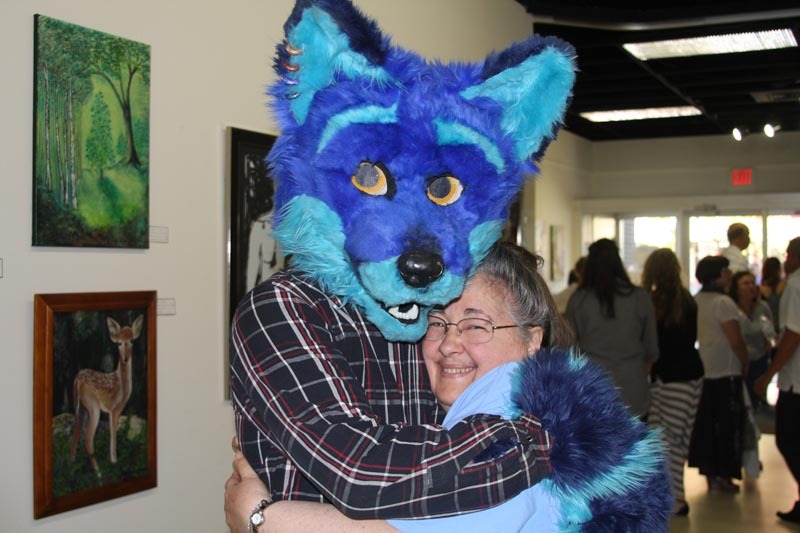 This entry was posted in Uncategorized and tagged Artist Reception, Blue Wolf visits Gallery, Gallery 194, LAA artists, LAA Spring Show. Bookmark the permalink.